Back in the days before the Great Opening Up, Forever bikes were the BMWs of China. If you were lucky enough to get your feet on a pair of Forever pedals, your friends, family and prospective loves would admire you from afar and proclaim your brilliance to the Heavens. That was then. Today Forever bikes are literally a dime a dozen on the streets of nearby Dujiangyan and San Sheng Xiang. Forever began as a bike dealer and now peddles everything from bridges to bowling balls; the bright orange bikes lined up at rental stands around town are part of the Forever Corp’s big move away from the sale of individual bikes — which is plummeting across China due to automobiles and thieves — and into public transportation. The project is high-class, high-tech version of a traditionally low class, low tech transportation option: rent-a-bike. 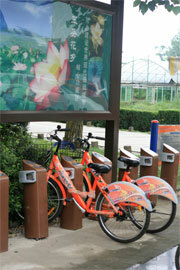 The project began in 2009 in Shanghai and there are currently about 20,000 bikes for rent in Shanghai. Each stand in Shanghai is no more than 200m away from the next stand and many of the stands are linked with the city’s subway system. Forever plans on having around 100,000 bikes in Shanghai. 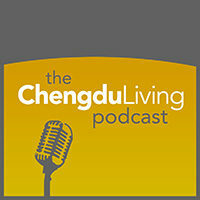 San Sheng Xiang has 500 bikes and Dujiangyan has 2,000. The project in Dujiangyan was actually a gift from the city of Shanghai, because the two cities were paired in the “partnering scheme” that brought in many different parts of China to help with the Sichuan post-earthquake reconstruction in 2008. Forever plans to have around 5000 bikes in Dujiangyan and maybe 1000 in San Sheng Xiang and even more in the city proper later this year. 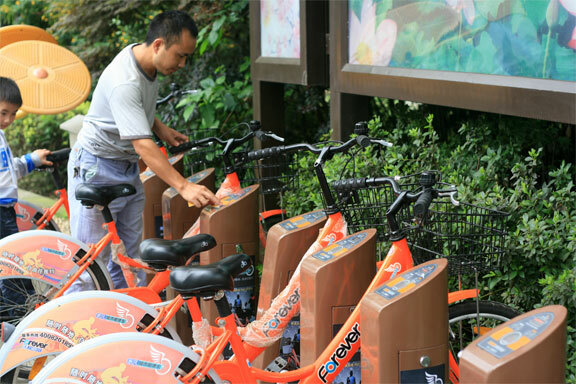 If you want to rent one of the bikes, you have to register with one of Forever’s offices in San Sheng Xing or Dujiangyan. The office in San Sheng Xiang is tucked away deep in the Dong Li Ju Yuan section of Flower Town (028-84676466). 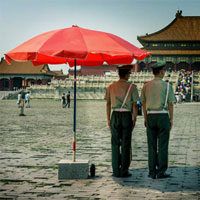 Here you will have to present ID and 10RMB and with that ID you get a card. The card comes with 100 points and allows you to swipe on of the stands, unlocking a bike. 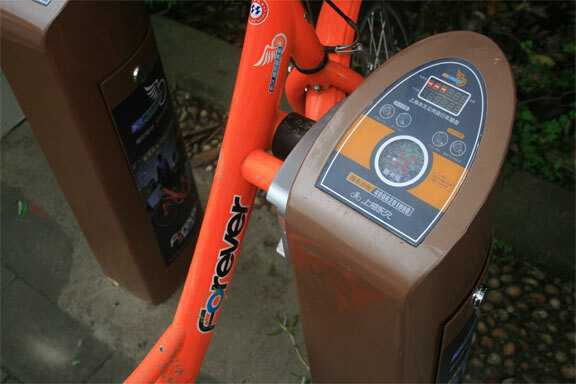 Each stand has an RFID chip that contains information concerning the bike (bike number, when it was rented, for how long, when it was returned, who rented it) and employs an ingenious locking mechanism that makes it very difficult for the bike to be stolen. When you want a bike, you swipe your card and the bike is yours to take. If you return the bike within one hour, you gain one point. If you return the bike between after 3 hours, you lose 10 points. If the bike is gone for more than 24 hours, you lose 100 points. 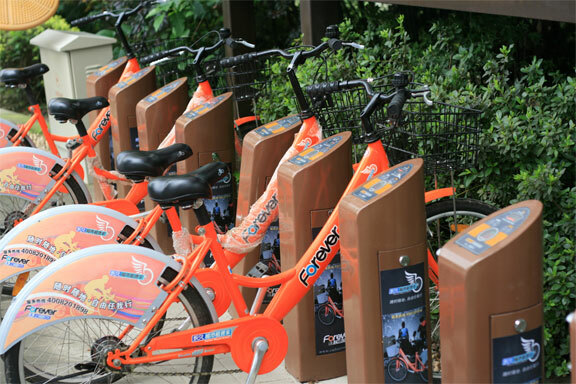 The bikes are high quality aluminum with tube-less tires that help to prevent flats. The rentals also come with a hotline for those who have lost, broken or otherwise incapacitated their bikes (4008201898). If the bike breaks, Forever takes care of it. If it is stolen, you will have to pay 300RMB for the bike. It might be possible to talk your way out of the fee, but if it was stolen on your watch, while you were renting it, then you should take responsibility. Each stand has a map and several stands in one region will also include a GPS system that allows you to get out of sticky situations and locate the swimming pool you were looking for. What do you think: is this the kind of service you’d take advantage of if it were available to you? I wish my city had this! It would be great if Chengdu had a service like this, too. I bought a bicycle just the other day through the Chengdu Living Forum. Hopefully I can make it through the end of the year without it getting stolen! Why don’t they do this in Chengdu? ?